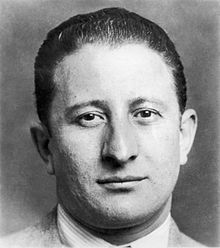 Carlo "Don Carlo" Gambino, (August 24,1902 - October 15,1976) was a Mafioso who became Boss of the Gambino crime family, that is still takes the name today. No one expected Gambino to seize control over the Commission of La Cosa Nostra in the US, at 1957 Apalachin Convention. Gambino was known for being low-key and secretive and unlike many modern mobsters, Gambino served no time in prison, but lived to the age of 74, when he died of a heart attack in bed. This page was last changed on 9 September 2016, at 03:00.